Respondent :- Up Power Corp.Ltd. Lko Thru Secy.And Ors. Heard Shri P.N. Tripathi, learned counsel for the petitioner; learned Standing Counsel for the respondent no.1 and Shri Nripendra Mishra, learned counsel for respondent nos.2 and 3. "(a) Issue a writ, order or direction in the nature of certiorari quashing the impugned order dated 27.07.2011 passed by respondent no.2. (b) Issue a writ, order or direction in the nature of mandamus commanding the respondents to provide appointment to the petitioner under Dying-in-Harness Rules at an early date, in accordance with law." It appears from the record that the mother of the petitioner was working as a Petrolman in the office of Vidyut Vitran Upkhand-II at 33/11 K.V. Bandawar. She retired on attaining the age of superannuation on 30.04.2011. On the last date of her working i.e. 30.4.2011 she sufferred from heart attack as a result of which she died at 7.00 p.m. on the same date. The petitioner passed his High School Examination in the year 1998; Intermediate Examination in 2001 and Graduation in the year 2004. Being a dependant, the petitioner made an application for appointment in place of her mother under Dying-in-Harness Rules before the respondent no.2 on 14.5.2011. It is submitted that under the law the mother of the petitioner shall be treated in service upto to 24.00 Hours on 30.04.2011. The respondent no.2 vide impugned order dated 27.7.2011 rejected the application of the petitioner for appointment under Dying-in-Harness Rules on the ground that since the mother of the petitioner died on 30.4.2011 after retirement ceremony, the petitioner shall not be given any appointment under the Rules. It is averred that the finding recorded by the respondent no.2 in the impugned order dated 27.7.2011 that the mother of the petitioner died after retirement ceremony is absolutely incorrect and no such ceremony was conducted as alleged in the impugned order dated 27.7.2011. The mother of the petitioner faced heart attack on 30.4.2011 while she was in service and she was hospitalized where ECG etc. was conducted but she died about 7.00 p.m. on 30.04.2011. Admittedly the petitioner's mother died on 30.04.2011 at about 7.00 p.m. on account of heart attack, she shall be treated in service on 30.04.2011 upto 24.00 Hrs. 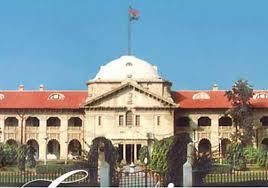 The impugned order dated 27.7.2011 was received by the petitioner through registered post in the Month of August 2011. The financial condition of the petitioner was not good. He somehow arranged for money and thereafter he could be able to engage a counsel. The delay in filing the writ petition is bonafide and the same may kindly be condoned. "In S.Banerjee Vs. Union of India (supra) followed by the Court, the Supreme Court considering the matter of retirement of Addl. Registrar of the Court relied upon Rule 5(2) of the Central Civil Service (Pension) Rules, 1972 providing that the date of retirement of the government servant or the date, when he has discharged or is allowed to resign from duties is to be treated as his last working day. The date of death is also treated as last working day provided that government servant retires prematurely or voluntarily under Fundamental Rule 56(j) to (m) or Rule 48 or 48A as the case may be. The date of his retirement shall be treated as non working day. If the date on which the government servant retires is treated as last working day, the next day will be the date on which the government servant retires. In para 6 of the judgment it was held that the employees retiring on January Ist, 1986 will be entitled to the benefit of para 17.3 of the report of the Pay Commission, admitting him to the benefits of the revision in the pay scales. Following the aforesaid pronouncement of law, we are of the opinion that since the petitioner was retired on 30.6.2009 , his last working day shall be treated as 30.6.2009 and that he would be retired on 1.7.2009. Since he was to be given benefit of one increment according to his date of birth (1.7.1949) , he would have retired on 1.7.2009 taking with him the benefit of one increment payable to him in 2006 entitled to calculation of his pension accordingly. The writ petition is accordingly disposed of with a direction to the Deputy Director (Pension) to consider the representation of the petitioner dated 7.1.2010 in the light of the law laid down by the Supreme Court and this Court in the above decision as expeditiously as possible, and preferably within a period of two months from the date of production of a certified copy of this order before him." Learned counsel for the petitioner has also placed reliance in another Division Bench of this Court in Anjore Singh v. Union of India & Ors. [2007 (7) ADJ 273 (DB)] decided on 6th July, 2007 in which also the Court held that last working day in the service of Government servant cannot be the date of retirement. The date of retirement would be the next date of retirement. On the other hand learned counsel for the respondents had filed counter affidavit stating that the mother of the petitioner working a Petrolman in the office of Vidyut Vitran Upkhand-I at 33/11 K.V. Bandawar retired on 30.04.2011 at 6.00 p.m. and she died after her retirement. He submits that as the mother of the petitioner had died after retirement, the claim of the petitioner for compassionate appointment cannot be accepted. Heard rival submissions, perused the record, and respectfully considered the judgements cited at the Bar. The sole controversy in this writ petition is to decide whether the mother of the petitioner can be treated as a government servant till the completion of working hour in the office i.e. 6.00 p.m. or till the completion of the whole day i.e. 24.00 Hrs. of the said date. Learned counsel for the petitioner has categorically averred that the mother of the petitioner suffered heart attack during working hour and due to which she ultimately died at 7.00 p.m. It can be said that the cause of death of the mother of the petitioner has started during the working hour and ultimately she died on account of the same cause. If she died at 7.00 p.m. due to heart attack, it is difficult to presume that she could have attended her farewell. The department had also not filed any documentary proof, which shows that she was not hit by heart attack during office hours. Moreover, considering the judgements cited at the Bar it is clear that for the purposes of pension the last working day is not the retirement date. The retirement date would be the next day of last working day. Therefore, it is clear that the working day would be counted till the end of the day i.e. 24.00 Hrs. The object of the compassionate appointment is to tide over the immediate financial hardships to the dependents of the government servant. Such appointments are given on compassion and therefore some leniency should also be adopted while giving the compassionate appointment. Some relaxation is also desirable while giving such appointment. In the present case it cannot be said that at 6.00 p.m. the financial hardships of the petitioner are genuine and at 7.00 p.m. the financial hardships of the petitioner are not genuine. "From the foregoing discussions, we are of the opinion that for the purposes of retirement of a Government servant, the time afternoon has to be construed as a time after the noon (12 O' clock) till the end of the day (12 p.m.)"
Hon'ble the Supreme Court in the case of S. Banerjee v. Union of India, 1990 LIC 298 has held that the date of retirement shall be treated as non working day. If the date on which the government servant retires is treated as last working day, the next date will be the date on which the government servant retires. "But in the absence of any such express provision, we think, it is well settled that any specified age in law has to be computed as having been attained or completed on the day preceding the anniversary of the birth day, that is, the day preceding the day of calendar corresponding to the day of birth of the person." "In calculating a person's age, the day of his birth must be counted as a whole day and he attains the specified age on the day preceding the anniversary of his birthday." In view of the aforesaid facts and circumstances, the order impugned cannot be sustained and is hereby set aside. The writ petition is allowed. The respondents are directed to consider the case of the petitioner in view of the observations made herein above within three months from the date of production of certified copy of this order.